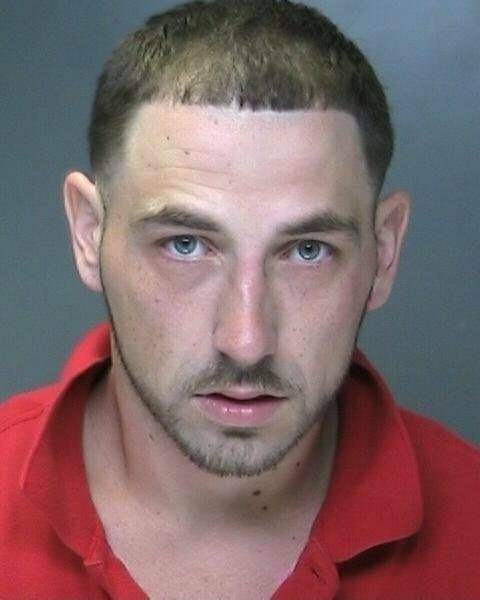 Arrest occurred on Park Street in Blue Point on Sunday, August 31, 2014 at 1:25 p.m.
Blue Point, NY - September 1, 2014 - Suffolk County Police arrested a Centereach man yesterday for committing four residential burglaries at various locations in Suffolk County. Fifth Precinct patrol officers responded to a 911call about a burglary at a home on Park Street in Blue Point. Police Officer Michael Coyne, with the assistance of off-duty Police Officer Steven Niggemeier, apprehended William Steifer as he was climbing out of a rear window of the residence. Further investigation by Fifth Squad detectives revealed that Steifer, 29, was linked to several other burglaries that recently occurred on Handsome Avenue in Sayville, Tide Court in Oakdale and Singingwood Lane in Poquot. Proceeds recovered from the burglaries included jewelry and electronics. Steifer, of Sunset Drive, Centereach, has been charged with four counts of Burglary 2nd Degree, Criminal Possession of Burglar’s Tools and Criminal Possession of a Controlled Substance 7th Degree. He was also arrested for an outstanding New York State Parole warrant. Steifer is being held at the Fifth Precinct and is scheduled to be arraigned this morning at First District Court in Central Islip. The investigation is continuing and detectives are asking anyone with any information to contact the Fifth Squad at 631-854-8552. Subject: LongIsland.com - Your Name sent you Article details of "Centereach Man Arrested for Series of Burglaries"